I came to the Western Hemisphere from Russia in May of 1997. My first country of residence: the Bahamas. Yes, one of James Bond’s favorite locales (Shawn Connery still has a house there in Lyford Cay, Nassau), a hot tourist destination, and a financial haven. That’s where my second life began. In my first life, in Russia, I was a practicing MD with 20 years of experience as an eye surgeon, an Assistant Clinical Professor at a Medical Academy, a practical psychologist, a PR consultant for a bank, and a single mother – all at the same time. I arrived to the Bahamas with a burning desire to explore new opportunities, one suitcase (mostly filled with books and photographs), my 13 year old son Denis, my 160lbs. bear-looking dog Dan – and my SCENAR. It was the legendary SCENAR-035, or “troika”, as we lovingly call it in Russian – and I believe that was the very first SCENAR device that left Russia for good. My name is Dr. Irina. I am a doctor, a scientist by trade, a researcher, and, in my third life, a Canadian entrepreneur and a holistic physician. My company, Mediscen, is the oldest SCENAR business outside of Russia. It started in 1998 as a small clinic, performing healing miracles with Star Trek-looking devices in a small rural town of Niagara-on-the-Lake, Canada – and eventually grew into a seven-figure multi-national virtual business. When I speak about SCENAR, I speak from experience. I have lived and breathed SCENAR since the early stages in its development. I joined the original Russian SCENAR research team in 1995, when SCENAR technology was just released from secret military archives and began undergoing clinical trials in various Russian medical research facilities, including my Medical Academy. I was researching SCENAR applications in ophthalmology. The results were very impressive and… unexplainable… to a conventional physician, to the tune of “Come on, it can’t ALL be true!” With SCENAR, about 90% of my patients showed significant improvements in their conditions (such as various inflammations, post-surgical recovery, injuries, glaucoma, and even macular degeneration), and many were able to avoid surgery altogether. I am so thankful that I did. SCENAR changed my life, literally. It changed the way I saw the world, and I like this new world vision much better. I attribute to SCENAR the fact that I haven’t used my Canadian Health Insurance Card even once in the last 14 years, and no one in my family has taken any prescription or over-the-counter drugs in the last 12 years. 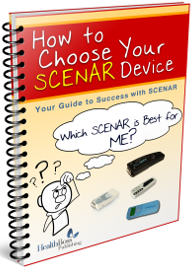 SCENAR saved the future of my only son reversing his debilitating disorder. 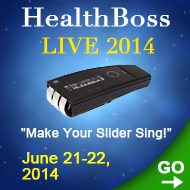 SCENAR allowed my 73 year old father to recover from a quadruple bypass, at Yale University hospital, in five days. On the 6th day, we drove from New Haven, CT to JFK airport in NY and safely flew over to Nassau, Bahamas, where my father finalized his recovery. SCENAR (just the little DOVE) keeps my 82 year old mother alive and well; in fact, her health is much better now than it was 10 years ago, and she attributes it to using The DOVE every morning for an hour, before she even gets out of bed. And that is just my immediate family. In my extended family, including my close friends, every person has (at the very least) a DOVE or a C-DOVE, and a Solaris Blanket, and they all keep thanking me for the gift of health. To me, this is a gift of joy, peace of mind, and reflected happiness. I could tell you so many stories about SCENAR miracles that I have witnessed in my years of practicing SCENAR… But I will now tell you just one. I will tell you about my very first SCENAR client outside of Russia (I bet you’ve never heard it from me before; this story is a little personal). Stafford was not happy, to say the least. In fact, he was plain miserable and angry. Losing the foot meant the end of his sailing and other adventures, but Stafford could not stand the excruciating pain anymore; the pain that made the old sailor cry when a bed sheet touched his foot. It was a “no win” situation. Stafford had no clue what I was talking about when I suggested to try saving his foot and explained how we were going to do it; nor did he believe me that it was possible (“With that funny remote-control-looking device you are going to do WHAT?”). Nevertheless, he was at the end of his rope and would probably submit to witchcraft, if that would help. That was in the beginning of November. His surgery was scheduled in two weeks. When Stafford arrived to his initial session, my first question to him was: “If anything was possible, what would be your deepest heart’s desire?” Stafford thought for a moment and said: “I would like to dance Meringue with my wife on Christmas Eve”… “Let’s make it happen”, I said. Neither one of us really believed it is going to happen. And yet, they had their dance, after all. His wife cried all the way through… happy tears. This “SCENAR fairy tale” gave Stafford Morrison his life back. It also gave me an unshakable confidence in miraculous abilities of the body to heal itself – and in SCENAR as the only technology I knew to unlock and facilitate these abilities to THAT degree. After that, there was no going back. SCENAR became my life and my passion. 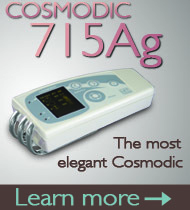 What would you feel, given a “Star Trek” healing device that could transform people’s lives on so many levels? Wouldn’t you want every person on the planet benefit from it? Of course – as did I. Together with other scientists on the SCENAR team, I devoted my life to facilitating the development of this beautiful technology. I continue to remain an independent, unbiased SCENAR expert. I do not manufacture my own SCENARs, I am under no obligation to any SCENAR manufacturer, and I promote only the products I believe in and use on myself and my loved ones. Remaining an independent expert was a difficult choice I made from the very beginning of my SCENAR business. It is always easier to secure your market share by acquiring some “exclusive marketing rights” from one or another manufacturer. This, however, is a double-edge sword, because most of such rights come with a “non-compete” clause prohibiting you from promoting any other products. You always pay a high price for independence. To me it is worth every penny though. And now my independence allows me to give you “The SCENAR Fair”. In January of 1998, in Nassau, I organized the first SCENAR training seminar outside of Russia, conducted by Yakov Greenberg, Dr. Revenko, and the legend of SCENAR world, Dr. Yuri Gorfinkel, who passed away 3 months after the event, leaving us the recording of his last seminar as his legacy. This historic recording has just recently been restored, miraculously surviving hurricane Floyd that destroyed so much in the Bahamas in 1999. That training seminar had only 3 trainees, but they all became pioneers and facilitators of SCENAR development in their respective countries: Jan de Jong in Holland (currently the manufacturer of RITMSCEANRs and Autoscenars), Leo de Jong in the USA, and James Colhurst in the UK. That was the beginning of the SCENAR World and the start of the SCENAR Fair. After a little while, as the SCENAR technology began to gain popularity, many SCENARs and SCENAR-type devices entered the market; some of them genuine SCENARs, some copycats, and some just plain fakes. And yet, almost all of them proudly called themselves “SCENARs” (it is easy to capitalize on a legend). In my eyes, the SCENAR World is in danger. An unsuspecting consumer can easily fall for a skillful sales pitch and buy a knock-off “SCENAR”, hoping for a healing miracle – only to find out that it does not quite work. And how can it, if it is not a SCENAR device at all? 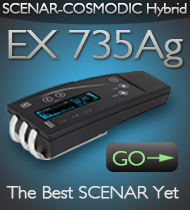 (Hint: SCENAR is a very sophisticated piece of technology, and a true SCENAR is never cheap.) But the damage would be already done, and SCENAR reputation would be in jeopardy. Tom Bearden even thinks that the technology similar to COSMODIC ® applied on a larger scale and to the bigger systems may be a way to heal the Mother Earth… Actually, it does not surprise me, since I wholeheartedly believe that our beautiful planet is a living system, just as you and I are. Please send me the Scenar Fair. Thank you for your most excellent work in the Scenar field. I am a 7 year practitioner and like you have achieved a remarkable success rate of 90%…have treated thousands of people mostly for free. 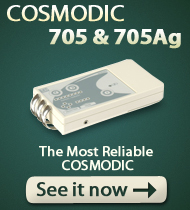 I am interested in obtaining a modern Cosmodic device….a slightly used version like myself…lol. I love your passion and appreciate any advice or help. Please send me Scenar fair also. I own a SCENAR and would like to read THE SCENAR FAIR. Thanks. We will gladly email you the book. Thank you. Because I have used my three devices successfully for over ten years I have come to a time in my life that I can read all the materials that Dr. Iriina has put together. 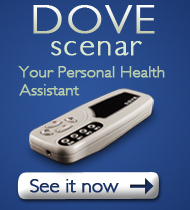 I use many modalities but the dove is helping tremendously with my client’s chronic pain. Please could you send me a copy of The Scenar Fair? I’ve enjoyed hearing and learning about scenar devises from your very informative web pages. As I am interested in purchasing a unit for my family, I would like learn all I can before making a selection. I look forward to receiving a copy the Scenar Fair. Thank you for all you have done for the health and happiness of others. I apologize for the late reply – I was out of the country for a while and didn’t have a chance to monitor the website Comments. Thank you for your interest in SCENAR technology – a very fascinating and effective one indeed. We will be happy to send you “The SCENAR Fair”, just monitor your Inbox for the next couple days (and check the Junk mail, just in case). We will send you an email with the download. Thank you. It has been emailed to you. Please let us know if you don’t receive it – we’ll resend. Thank you. Thank you for your inspiration. I have watched you on You tube. You are very welcome, Rosemary. Thank you for the feedback. I am a Strength & Conditioning Coach working with professional footballers. I’m highly interested to in SCENAR technology. Could you please send me a copy of the book to my e-mail. Please send the Scenar Fair. MThank you. Please send me a copy of your book. Thank you. Am very fascinated and excited to read about ‘Scenar’ a pioneer in its own right and for many still something new. Before I decide which device to buy please kindly forward ‘The Scenar Fair’. I certainly will be reading as much as I can regarding this wonderful life-saving to many users companion. Am fascinated by the whole concept and would be excited to receive ‘The Scenar Fair’ before I decide which device to buy. This wonderful invention is new to a lot of people and a pioneer in its own right. The PDF has been sent to you via email. Please let us know if you have any problems accessing it. Thank you! I would like to read “The SCENAR Fair” Thank you. We will be happy to send it to you via email. Thank you. Love to read The Scenar Fair! No problem, Suzanne, we will send you the PDF copy of the entire article. We just purchased the Scenar, looking forward to learning how to use it. I would also appreciate a copy of “The Scenar Fair” please. We have just sent it to you – check your mailbox. Sorry for the delay in reply, Bill. Summer time 🙂 Our office is emailing you the copy. 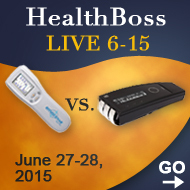 If you do not receive it within 24 hours, please let us know at support@healthboss.org and we will try again (it is a pretty large file). Thank you for your interest. hi, would very much appreciate a copy of ” The Scenar Fair”, thank you !!! i want to buy cosmodic scanar.i can’t undergo training probram.so which model is best,considering accuracy and cost effective.cosmodic scanar ps 705 mini ot which model. I bought one scenar last year. But I don’t know how to use it properly. I decided to study it more. 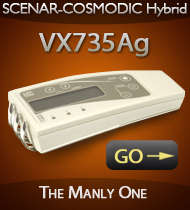 Can I download “The SCENAR Fair – second edition”? Please email me the new scenar fair. Very interested in learning more – I bought a SCENAR devise a year ago; have not as yet learned it’s full capabilities.